The PureChoice™ reverse osmosis drinking water system with easy and affordable maintenance solutions, was designed to give you and your family good, clean drinking water for a lifetime. The high output membrane allows this system to meet the average household’s drinking water and cooking water needs. Not all drinking water systems were created equal. What makes the PureChoice better? PureChoice system is 100% tested and certified to NSF and ANSI standards. The PureChoice shuts off when it’s not in use to conserve water. Purify only what you use. Bring healthy, clean and good tasting water into your home. 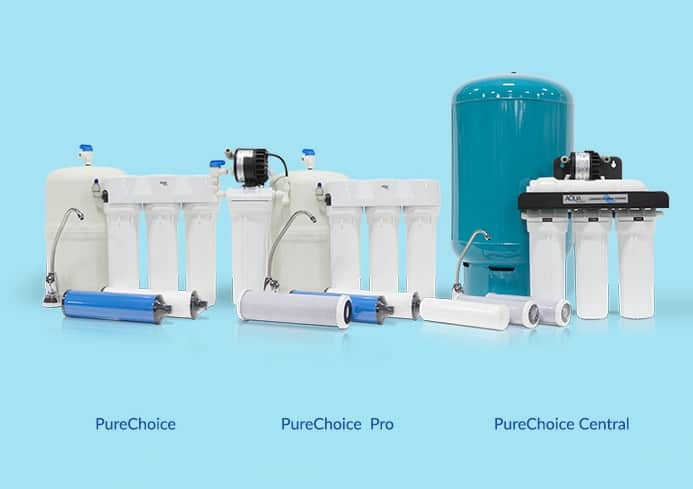 PureChoice reverse osmosis systems purify well water and municipal water at the molecular level, giving you peace of mind that the water your family is drinking is free from impurities and chemicals. It’s the highest standard of safe drinking water for your family. The high-performance thin film composite membrane purifies water at the molecular level to hydrogen and oxygen. The precision-engineered manifold creates a clean, well-organized system that fits easily under the sink. No messy tubes, no complicated hookups. Made in the USA. With our modular design, every part is removable and replaceable. Maintenance is easy, and you’ll never need to replace the whole system. 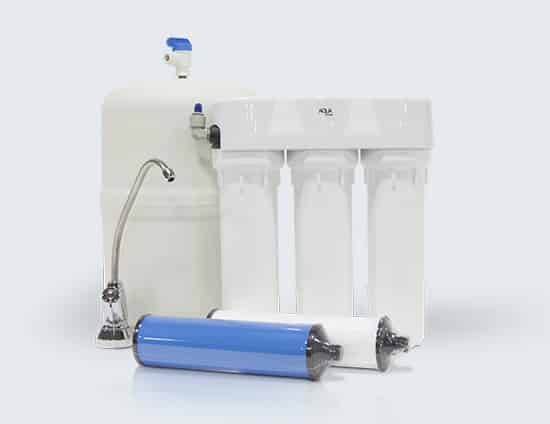 Water enters a four stage purification process inside the PureChoice to remove impurities, tastes and odors. We install your PureChoice system in your home for free, giving you peace of mind that your system is installed correctly and working properly. A water softener can help your appliances run better, makes your dishes cleaner and your towels softer – but it won’t purify your drinking water. Save $720 when you buy a whole home system (water softener + reverse osmosis) and enjoy purified drinking water and soft household water.